Asad uddain Owaisi, a Member of Indian Parliament is become the new hope for the Muslims of India those are looking for freedom. There is no doubt efforts of Muhammad Ali Jinnah get freedom for less than half of Muslims living in India. Still Muslim population in India is greater than Pakistan those are looking leader to lead them to get freedom of India. Increading popularity of Owaisi brings nearly 60,000 to hear him at dusty parade ground in Aurangabad last year. “Call me provocative. Call me anti-national. But first, answer all the questions I am posing about discrimination and injustice,” he said. During his interview, Owaisi said; “Every community in India has progressed except Muslims.” Owaisi born in Hyderabad and a son of a lawmaker. 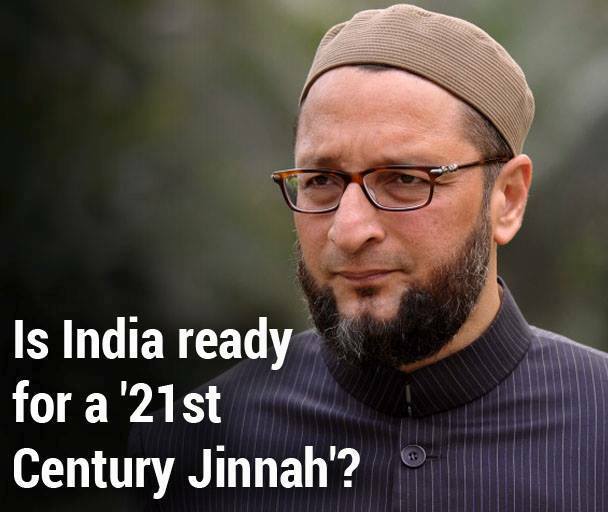 Owaisi may be the next “Jinnah of 21th Century” for Muslims of India.